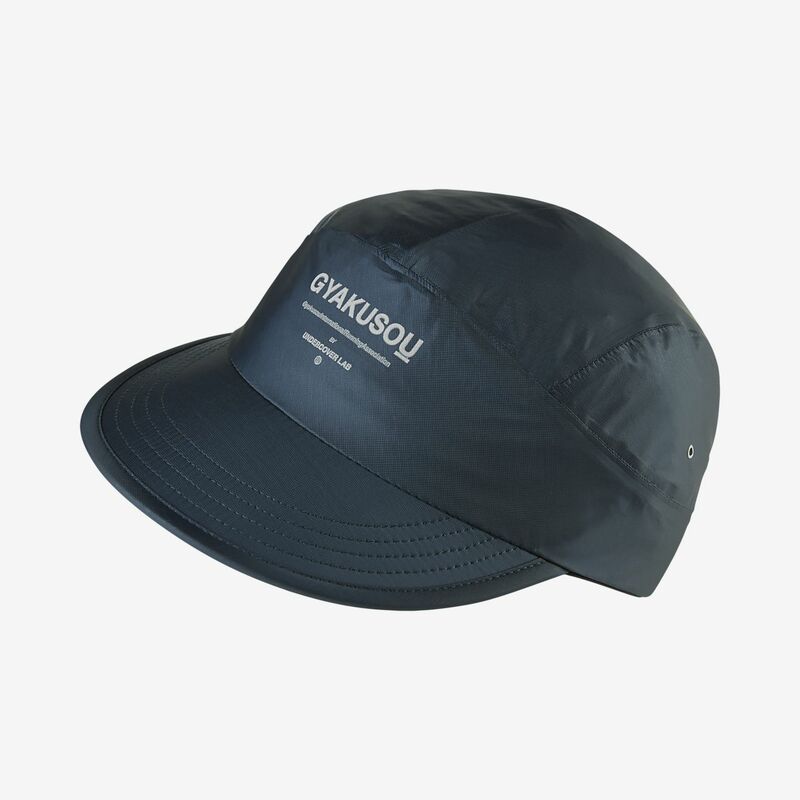 Designer Jun Takahashi's meditative aesthetic comes to the classic tailwind silhouette in the Nike Gyakusou Running Cap. Its sweat-wicking design has a woven back strap for customisable comfort, built for your run. Designer Jun Takahashi&apos;s meditative aesthetic comes to the classic tailwind silhouette in the Nike Gyakusou Running Cap. Its sweat-wicking design has a woven back strap for customisable comfort, built for your run. Fabric: Front of body: 100% nylon. Back of body: 100% polyester.